James John Howard Gregory lived from 7 November 1827 to 20 February 1910. He ran an important seed catalogue business  which helped introduce vegetables now considered heirloom stock such as the Hubbard Squash and the Burbank potato. He also wrote several books. James was born in Marblehead, Massachusetts to James and Ruth (née Roundy) Howard. As a child, he went to Marblehead Academy at 44 Pleasant Street in Marblehead, then went out of town to study first at Middlebury from 1846 to 1848, then finished his formal studies at Amherst College in Amherst, Massachusetts from 1848 to 1850. James returned in 1850 to Marblehead, which by then was a town of 6,000 people. That year, his father advertised some winter squash seeds in the “New England Farmer” magazine. James helped his father package and post them. While doing that in 1850, James taught at Marblehead Academy. Then, from 1851 to 1854, he was the principal of three different academies — Derby, Hingham and Lunenburg. By 1854, James had decided to leave teaching and go into the seed business for himself. He started “Gregory Seed Business” in his home. In 1855 (approximately), he introduced seeds for a “new” squash — the Hubbard Squash. The enormous interest got his business off to a good start. On 31 December 1863, he married his first wife, Eliza. The couple would have no children of their own, but adopted four. By 1866, he was such a successful member of the town that “Gregory Street” along the harbour (previously named “Road to the Fish Fences” and “Sea Street”) was named in his honour. 1876 to 1877 — Senator in the Massachusetts State Senate. 1907 — He retired from his seed business. 1909 — Gregory helped form the Marblehead travelling libraries (administered by Atlanta University), which visited black schools and organizations in the southern American states to bring library services. 1910 — James died 20 February 1910. James was a philanthropist as well. 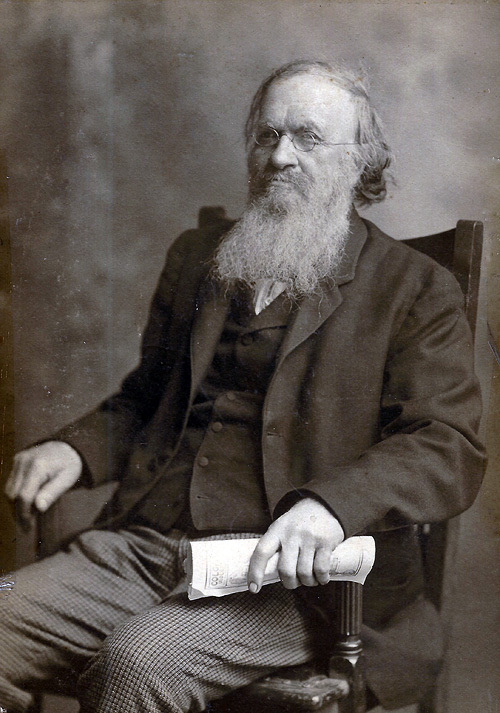 In addition to funding artwork for local churches and schools, he donated the land for Marblehead’s Fountain Park (Bailey’s Headland, off Orne Street), he funded the clock and bell for the town’s Abbot Hall (1877), and he contributed to a new library being built in the town. 1865. Onions, And How To Raise Them. Salem [Mass]: Observer Office. 1882. Carrots, mangold wurtzels and sugar beets : how to raise them, how to keep them and how to feed them. Marblehead, Mass. : Messenger Steam Printing House. 1889. Cabbages and Cauliflowers: How to Grow Them. A Practical Treatise, Giving Full Details On Every Point, Including Keeping And Marketing The Crop. Further reading: Shari Kelley Worrell. Remembering James J. H. Gregory: The Seed King, Philanthropist, Man. September 2013. Gregory Seed Company, later J.J.H. Gregory & Son. The business traded from 1855 until at least 1909, when it introduced the Blue Hubbard squash.